Google has started restricting detailed data from non-advertisers and those with a low budget threshold. 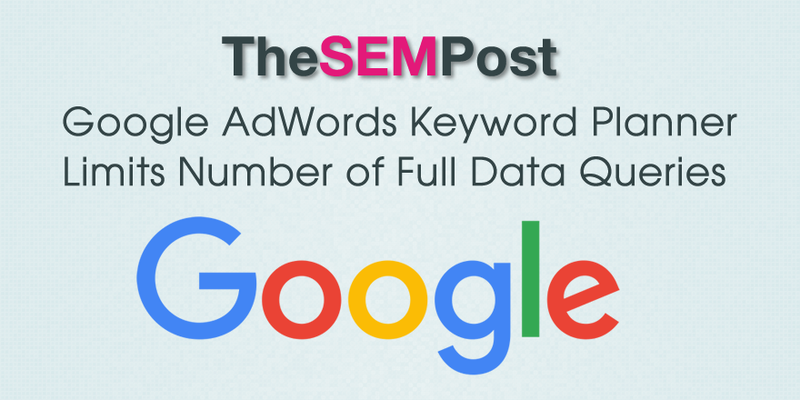 But now we have learned that Google is also limiting the number of queries that can be done by account. If you go over that limit, Google will begin showing the averaged data instead, even for those with high budgets. CassieH posted a followup on the AdWords help forum, in response to a question about the limits. If an account is under an active MCC, then you will most likely see the full data view. However, MCCs can still trigger the limited data view by reaching a limit on the number of searches for search volume data. This limit based on the number of queries done is new. However, if this is limit is the same for MCC as it is for a regular account, larger accounts could run into problems getting the detailed data. There is no more information from Google on how many queries a user can do before they begin seeing the restricted data version of the Keyword Planner. The help documents have not been updated to reflect the change at this time. 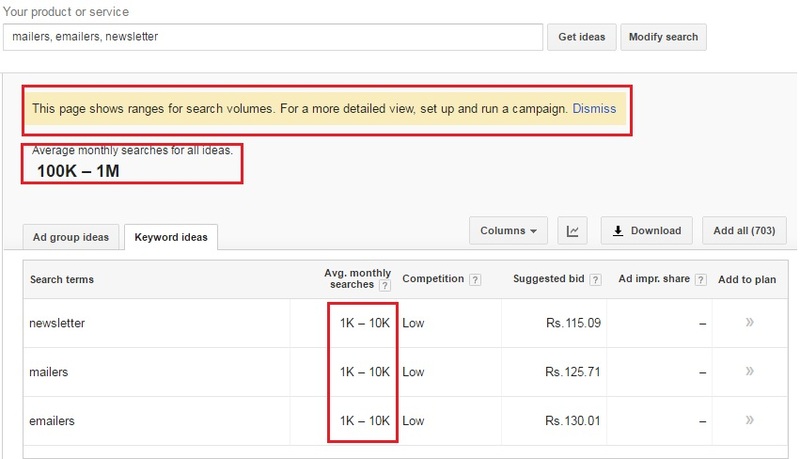 But this is potentially another blow to SEOs who thought they could just run limited campaigns in order to keep their full access to the Keyword Planner data. I am sure we will get a better idea of the query limit when users begin hitting it.